Key Difference: The iPad Mini is a sleeker, thinner iPad 2. The iPad Mini comes with a 7.9-inch LED-backlit multi-touch display with IPS technology touchscreen coated with a fingerprint-resistant oleophobic material. 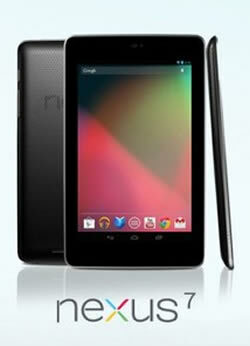 The Nexus 7 is a tablet computer running Android 4.1 (also named Jelly Bean) operating system. It was developed in collaboration with Asus. Apple is a well-known company around the world. It has been popular due to its innovative and technologically advanced electronics as well as the lawsuits with various different companies. Apple has been applauded for its futuristic design and new technologies on its various phones and tablets. It has also been criticized by many for its expensive price tags. However, the company has still managed build a loyal fan base that stands by the company and its products a 100%. 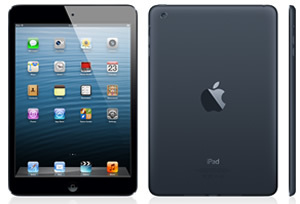 The iPad Mini has been a popular tablet since its launch in November 2012 and is basically a mini iPad. It has borrowed a lot of features from its big brother and but just has a smaller packaging. The iPad Mini is a sleeker, thinner iPad 2, note currently the company is on its 4th generation iPad. The iPad Mini comes with a 7.9-inch LED-backlit multi-touch display with IPS technology touchscreen coated with a fingerprint-resistant oleophobic material. True to the Apple design, the iPad Mini also have a slick, steel chassis that is comfortable to hold. The company has launched two different models of the iPad Mini; Wi-Fi and Wi-Fi + Cellular. The Wi-Fi is a little cheaper and does not have a SIM slot, while the Wi-Fi + Cellular model is able to support 2G, 3G and 4G operations. One of the most touted features of the device is the weight. The device is super light and weight around 308 grams for the Wi-Fi and the 312 grams for the Wi-Fi + Cellular. The 7.9-inch screen provides 768 x 1024 pixels and an approximate 162 pixel density; it is not the best resolution available specially with the iPad 2 with Retina display. The screen has been said to be a bit grainy in viewing. The device houses a 1 GHz Dual-core Cortex-A9 processor and the Apple A5 chipset. It is powered by the iOS 6 and can be upgradeable to iOS 6.1.3. The processor is not as fast as the latest Apple A6, but it does not lag during multi-tasking. The slower processor might have a concern if the device allowed true multitasking, but since it does not the device works just fine. The iPad Mini is available with 16/32/64 GB of internal storage, which is not expandable. The device only offers 512 MB RAM. The iPad Mini comes with a 5MP rear camera for taking photos and also has HD video taking capability. The device also has a 1.2 MP front camera for video calling purposes. It also has the FaceTime app for video calling over Wi-Fi or cellular. The iSight Camera has features such as autofocus, face detection, backside illumination and five-element lens. The outer chassis of the device houses various buttons to control the device. The top of the device holds the On/Off and the Sleep/Wake button, along with the microphone and the headphone jack. The company has shifted the button back to the top of the device. The right side of the device has the Silent/Screen rotation lock button and the volume controls. The Home button is placed on bottom bezel and the built-in-speakers are on the bottom of the iPad Mini along with the Lightening connector. The device comes with many features such as Siri natural language commands and dictation, Game Center, Photo Booth, Built-in apps and e-book reader. The reader is compatible with all of the big services such as Google Books, Kindle and Nook, making it easier to read books in almost all formats. The device has been noted for the sleek and small design, which makes the device comfortable to hold and work with. Also apps have been specifically designed for the tablet, so no longer need to deal with stretching apps. Few criticisms include the price of the device, lack of Retina display, and lack of true multitasking as well the software. With the iPhone 5 already available in the market with Apple A6 chipset, the iPad Mini with the same chipset is not that far away. The information for the detailed table about the two phones has been taken from the Apple website, Google website and GSMArena.com. [email protected] with video stabilization, face detection, Tap to focus while recording and backside illumination.